On this 4 day tour, see the supreme plateau landscape at Tian Shan Mountains and Heavenly Lake, soak in the profound historical ambience in the ancient cities of Jiaohe and Gaochang in the vast desert and embrace the traditional and modern local lifestyles of the Tuyugou Valley and the Grand Bazaar. In this 8-day trip from Urumqi to Kashgar via Turpan, you can broaden your horizons by exploring the profound history and culture of the Ancient City of Jiaohe, immersing yourself in the beautiful natural scenery of Heavenly Lake, spending an exciting day in the endless Kumtag Desert, and experiencing the unique Uighur customs and local life at the Xinjiang Grand Bazaar. Where would you find the most remote city from the ocean in the world? 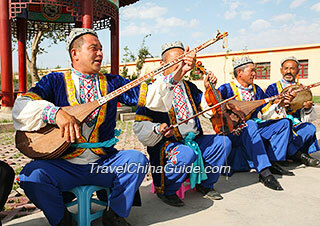 The answer is the provincial capital of Xinjiang Uygur Autonomous Region. By embarking on this private itinerary, you will see the most stunning examples of East-West cultural exchanges: blue lakes, the largest bazzar, the old garrison and so on with the unrivaled hospitality of the local ethnic minorities. The two-day vacation plan can be considered as a folk custom experience. The first day features the popular local destinations of the Safari Park and the Vineyard. You will enjoy the second day in the Uygur Residents Concentrated Zone of the Bazaar area with Islamic construction style which is quite different and interesting from your stay in modern Urumqi. Travelers will surely find it enjoyable. For more related tours, please click Hiking Adventure, Golf Vacation and Bicycle Routes. I have not found the news that the Highway 216 is totally blocked. However, the road condition of several sections in Highway 216 are not so good and it might be frequently closed to be repaired due to the road collapse and debris flow... If you plan to go there, I would suggest you to be fully prepared before the trip. The highway G 216 is the a road connect to Kanas lake , only the problem is speed limit is 80kms per hour which can not drive too fast get to the destination . notmally drivers DONT take that road than 80 kms per hour speed limit last 500kms untill get to Buerjin . its moslty dry and vast land , type of desert landsacepe . so we take High way G 217 . How much mini van for 10 persons charge from Urumqi city to Tianshan Mountains and Heavenly Lake? or any suggestions for 10 persons, but I do not want to join with travel company. 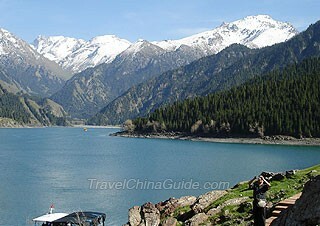 There are through buses available from Urumqi to Tianshan Mountain and Heavenly Lake. You can take it for free with the entrance tickets and shuttle bus tickets for the scenic spot. The bus departs to Tiansha Mountain at 8am, 8:30am and 9am and returns at 4pm, 4:30pm and 5pm during the travel high season. In the off season, there is only one bus that departs at 8:30am and go back at 4pm. There are two bus pick-up points, one is at Tarim Hotel at Beijing Road and the other is at Jiamei Hotel at Yangzijiang Road. The charge for chartering a car is high, you are suggested to contact a local agency for exact price. How much total cost for bus ticket and include all as you said per person? Early April period is high season at Tianshan mountains? To take this through bus for free, you will need to purchase the entrance tickets and shuttle bus tickets of the scenic spot when you board the bus. The total cost for the ticket is CNY215 per person. April is the high season at Tianshan Mountain. 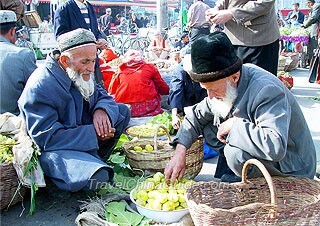 Hi, is there any homestay in Urumqi and Kashgar? Dear Nash, we do not arrange homestay, but we can arrange a family visit for you to learn more about the Uygur people in Kashgar. Thanks for your attention. 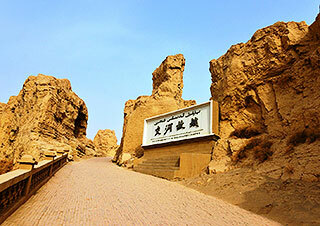 possible to homesaty in Toyuk village in Turpan . Do I get altitude sickness in Urumqi, Turpan and surrounding area? I am planning a trip there. You will not get altitude sickness in this area. But the weather there is dry with large temperature difference between day and night. You will not have high altitude sickness , Urumqi is 800-900ms above sea level and Turpan city area is about 100ms , even you go up to Heavenly lake 1980ms , you will not feel its high . 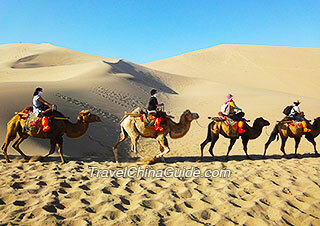 Can I travel to Xinjiang region with chinese visa? Sure. 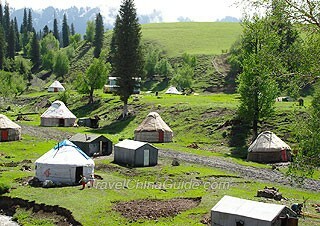 Xinjiang is a part of China. If you have Chinese Visa, you can visit there.